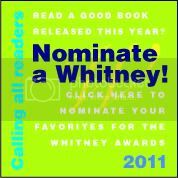 A huge thank you to the following authors whose books are sponsoring the 2008 Christmas Story Contest. 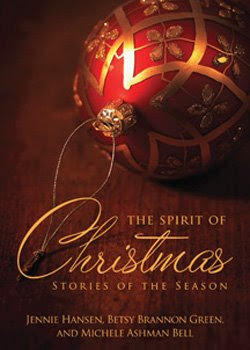 Rekindle the spirit of Christmas with this touching trio of timeless stories told by some of the finest LDS storytellers — each with a heartwarming message for the Season. Will Sophie really be able to get what she needs by spending the holidays alone? Will Miss Eugenia be able to give a struggling family the Christmas they want? Has five-year-old Janie's visit from Santa really been canceled because she was bad? Take a journey into the minds and hearts of three engaging characters who each need to believe in their version of Christmas — and discover that believing in people is what the spirit of Christmas is all about. A perfect assortment for sharing and celebrating the holiday season. 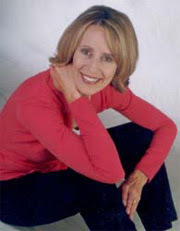 Jennie Hansen was born in Idaho Falls, Idaho. She lived in many farming and ranching communities in Idaho and Montana. Her family moved more than 20 times as she grew up. Born the fifth of eight children, Jennie had a ready supply of playmates during her childhood. Her brothers and sisters are still among her closest friends. She married Boyd Hansen of Rexburg, Idaho, and over the next ten years they became the parents of five children. They have made their home in Utah since their marriage. Jennie graduated from Ricks College in Idaho then continued her education at Westminster College in Salt Lake City, Utah. She has been a receptionist, a model, a Utah House page, freelance magazine writer, newspaper reporter, editor, library circulation specialist, mother and grandmother. She has nineteen published books to her credit, three stories in compilations, and has two more books currently under contract. 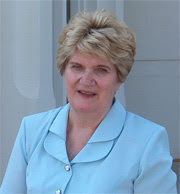 Her published books include: Run Away Home, Journey Home, Coming Home, When Tomorrow Comes, Macady, The River Path, Beyond, Summer Dreams, Chance Encounter, All I Hold Dear, Abandoned, Breaking Point, Some Sweet Day, Code Red, High Stakes, Wild Card, The Bracelet, The Emerald, The Topaz, and The Ruby. She is one of three contributors to The Spirit of Christmas along with Betsy Brannon Green and Michele Ashman Bell. Jennie also writes a monthly review column for Meridian Magazine. 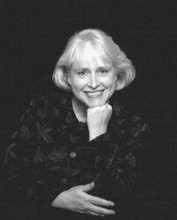 Betsy Brannon Green was born on June 1, 1958 in Salt Lake where her father was attending the University of Utah. After he finished his undergraduate work, the family moved to Birmingham, Alabama for medical school. When her father graduated from medical school he joined the Army so over the next few years her family had the opportunity to live in several different cities, including Honolulu, Ft. Knox, San Antonio, and Colorado Springs. They finally settled in Decatur, Alabama where she met and in 1979 married Robert (Butch) Green. She has always loved to write but decided to make a serious attempt at writing a novel during the fall of 1999. It took her 8 months to complete her first book which was later rejected by publishers. Her second attempt, Hearts in Hiding, was published in May of 2001. Michele Ashman Bell—What can I say, I'm a middle-aged mother of four, who, after ten years of hard work, perserverance and a lot (and I mean A LOT!) of rejection letters, finally got a book published. As a young girl I was a devoted journal keeper. I would express my most personal thoughts and feelings in my journal in a way I could never express them verbally. Coupled with my great love for reading it only seemed natural to become a writer. During the course of having and raising my children, as a beginning writer, I spent any free time I had writing and learning the craft. I attended workshops and conferences, joined critique groups (I have the scars to prove it) and sent many of my stories and novels off to magazines and publisher, only to receive rejection after rejection. I came close a few times, but something wasn't quite right. Still to this day I wonder why I didn't give up. You'd think after ten years of rejections I'd finally get the message. Actually I know why I kept writing, I couldn't not write. It's in my blood. When I get cut, ink comes out. There's something so wonderful and fulfilling about the creative process of developing characters and storylines and pouring your heart out on paper that can't be matched by anything else. I feel very fortunate to have the opportunity to write. And I want to encourage anyone who has the desire to write to never give up on their dream. If you want it bad enough and are willing to work hard enough, you will become published. I believe that with all my heart because that's exactly how it worked for me. 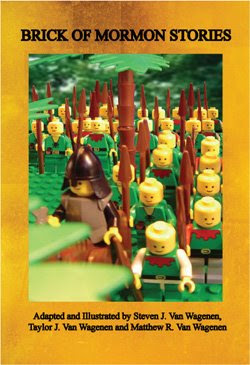 Brick of Mormon Stories is a collection of scripture stories from the Book of Mormon, with LEGO bricks and character illustrations. Parents and children now have a resource for reading actual Book of Mormon scripture text with illustrations that bring the scripture stories to life. What a better way for children to become familiar with the scriptures than by combining them with the toys and characters children use during play? Twenty-six illustrated LDS scripture stories from the Book of Mormon are presented in an easy to read format for parents who are reading to their children, or young readers who are becoming familiar with the scriptures. The purpose of Brick of Mormon Stories is to acquaint children with the passages from the Book of Mormon, provide illustrations that will help them remember the stories, and motivate them to include discussions of people and events from the scriptures in their playtime activities. 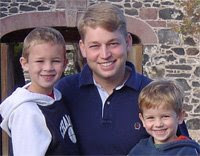 Steven Van Wagenen —I wondered how playing out some of the Book of Mormon stories with my boys using LEGOs would compare with all of the other ways we can teach our children the stories from the Book of Mormon. The thought came into my mind that there should be a children's book that uses actual scripture verses to tell the story, illustrated in such a way that children could find a way to bring the stories to life. I wanted something that would help my boys learn how to read the scripture text and still have the fun illustrations. I am not sure who had more fun in building the LEGO sets, me or the boys, but I think it was a great experience for us to spend all of that time together. Regardless of whatever happened with the book, I wanted to put together the book for our family as a reminder of that time and all that work and the experience overall. Spiritual refreshment is only pages away in this down-to-earth collection of inspiring stories and essays. Like a wise and witty friend, Kerry Blair leads you through the rough spots of life by poking gentle fun at herself in such a vivacious way that you'll be smiling at your own foibles. You'll laugh out loud — and occasionally be moved to tears — as you discover some of life's greatest truths hidden within these simple pages. Reclaim your sanity and enrich your soul with this humorous and poignant anthology that celebrates the joy of being alive and shows how greatly each of us is blessed. Kerry Blair wrote her first novel when she was eight years old and promised herself that she would do it again when she "grew up." She makes her home in West Jordan, Utah, with her husband, Gary, and four children. Kerry says, "I’d always said I wanted to be an author when I grew up—and forty is pretty darn grown up by anybody’s standards. The Heart Has Its Reasons was released in 1999 and I’ve since published 8 more books (one was a collaboration) and been included in a compilation of inspirational essays for mothers. I’ve edged from LDS romance into romantic mystery into murder mystery with romantic overtones into romantic comedy into the new Nightshade series— books one reviewer said is what you’d expect 'if you watched Buffy join CSI on the Romance Channel.'" Music can teach when word fail. Combining words and music creates beautiful opportunities for children to learn things they will always remember. When music and gospel lessons are combined, young minds are enlightened and better able to understand gospel messages. Combine music and gospel principles with the help of these 24 easy-to-prepare sharing and music time lessons. Each lesson includes a list of materials, necessary preparations, teaching suggestions, and relevant songs to help children learn the gospel principles about, "My Eternal Family." Perfect for choristers, leaders, and parents. 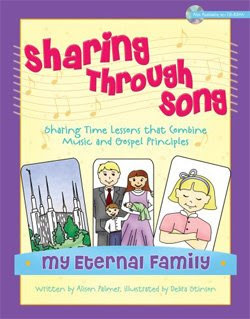 Make teaching children more effective and fun with Sharing Through Song: My Eternal Family. Also available on CD-ROM! Alison Palmer is a life-long member of the LDS Church. 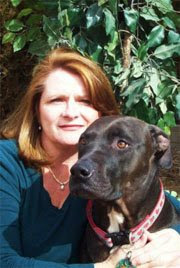 Born in Mesa, Arizona, she grew up in West Virginia and holds a bachelors degree in Nursing. She currently lives in Michigan. Over the years, Alison has held many callings in the Church, including several that have helped develop her great love for the Primary children. She has served as nursery leader, pianist, chorister, teacher, den leader and Primary president. 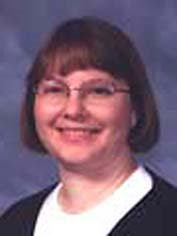 She has also been spotted teaching Sunday school, and serving as a teacher or leader in Relief Society and in Young Womens. Writing is Alison’s favorite past time, but you can also frequently find her reading, playing piano, cooking, attending the temple, taking long walks, sewing, or playing with her family. Other works by Alison Palmer include: multiple volumes of Sharing Through Song, Planting Seeds of Faith: Fun Character-building Activities for LDS Children and Walking the Path of Faith: More Fun Character-building Activities for LDS Children. Christmas #18: Birth of a Christmas Carol.